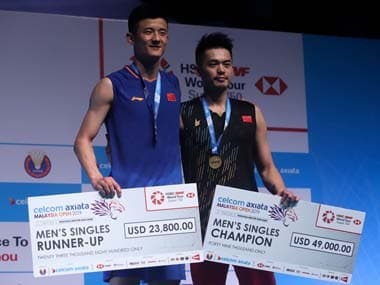 Singapore: India's Parupalli Kashyap and Mugdha Agrey qualified for the main draw of the men and women singles competitions at the Singapore Open badminton tournament on Tuesday. Kashyap, a 2014 Glasgow Commonwealth Games gold medallist, defeated Japan's Yu Igarashi 15-21, 21-16, 22-20 in the final round of the qualification to seal his place in the main draw. Kashyap, who is married to London Olympics bronze medallist Saina Nehwal, had earlier defeated Malaysia's June Wei Cheam 21-5, 14-21, 21-17 in his first qualification round. Kashyap will take on Denmark's Rasmus Gemke in the opening round of the men singles event on Wednesday. Besides Kashyap, young Mugdha also made it to the main draw of the women's singles event with a come-from-behind 16-21, 21-14, 21-15 win over Lauren Lam of USA in the qualification round. Mughda will play Thailand's Pornpawee Chochuwong in her opening round encounter on Wednesday. Elsewhere, it was curtains for men's doubles pair of Arjun MR and Shlok Ramachandran in the opening round after they lost 11-21, 18-21 against sixth seeds Kim Astrup and Anders Skaarup Rasmussen of Denmark. 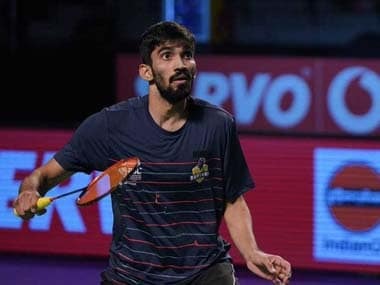 The other Indian men's doubles pair in action on Tuesday — Narendran Balasubramannian Geetha and Raphel Sharon — failed to qualify for the main draw after losing 15-21, 14-21 against local pair of Danny Bawa Chrisnanta and Loh Kean Hean.